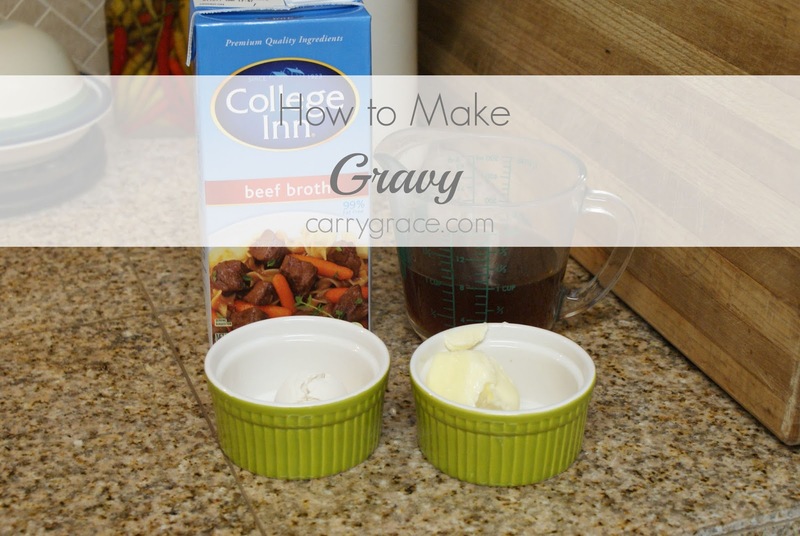 I am finally going to share how I make gravy. I have been asked this many times, so I thought it would be best to just show you. I am doing this post in collaboration with my blogging buddy, Whitney, from Come Home for Comfort. Once you have watched my process, be sure to head over to Come Home for Comfort to see how Whitney makes gravy. We didn't exchange recipes, so I'm excited to see her process. Melt butter in a pan on medium heat. Add flour and whisk together until incorporated. Add broth and continue to whisk until it starts to come to a boil. If the gravy sits for a few minutes and gets too thick, just add more broth and whisk until heated through and to the consistency that you prefer. Thanks for inviting me to collaborate with you! It was my first cooking video as well! :) That looks pretty simple - I will give your method a try the next time I want gravy but don't have any drippings from a roast.